Weber's Inn. This huge sign has been beckoning customers for ages. 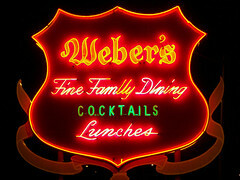 I haven't been in Weber's in probably 25 years. I wonder if it's still good.